No more shadows! LED Incident light in turret virtually eliminates shadows. 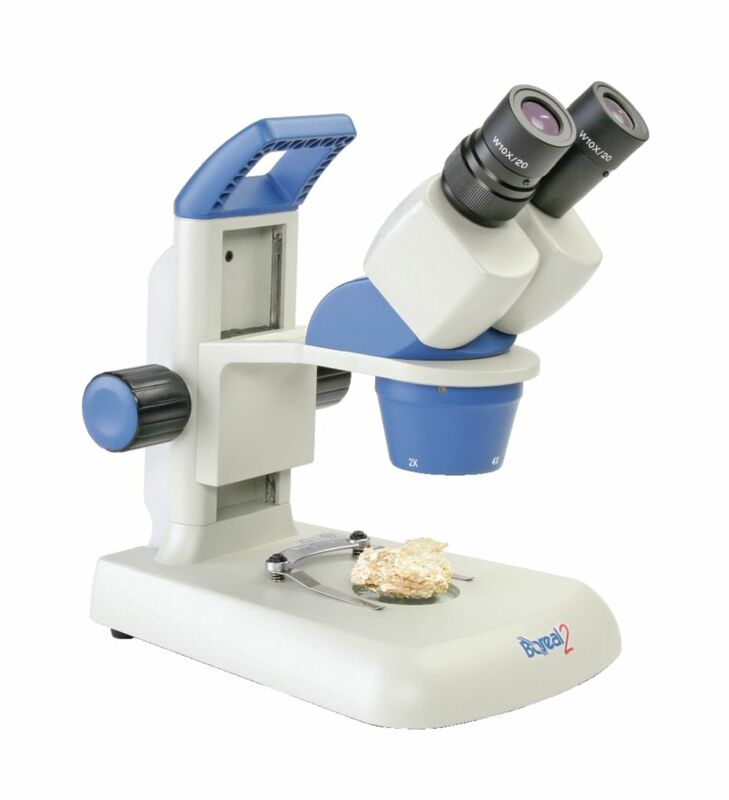 These stereomicroscopes offer a long range of focus for large and small samples. A 48 mm working distance is offered at 40x magnification for versatility in specimen studies. To protect the microscope, black, white, and translucent stage plates fit on the sealed stage to keep liquids out of the base. The ergonomic design incldues a carry handle for easy transport and a large metal body with stable base for sturdy durability. Tension control also stops focus drift. Available in corded or cordless models. HM models feature a built-in LED turret light, which virtually eliminates shadows. The cordless model can be used anywhere for up to 20 hours with an 8 hour charge (charger is included).